High power, solid gas mileage, aesthetics, and affordability. If you've ever seen or driven a Mazda SUV, these descriptions are probably familiar to you. In reality, those could be used to describe all of Mazda's models. The Mazda CX-9, in particular, is the largest vehicle in Mazda's high-performance lineup. The newest Mazda CX-9 sees 310 lb.-ft. of torque, which is significantly more than top competitors. The 2018 model is here in the greater Los Angeles area. Something that sets the Mazda CX-9 apart from the rest is its subtle high-class feel. 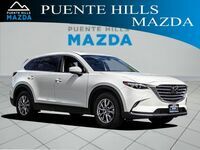 The starting prices shouldn't overwhelm most shoppers, so some consumers may be pleasantly surprised by the leather interior and modern innovations that make the Mazda CX-9 feel like a first-class glamorous ride. Stop on by and check it out for yourself! 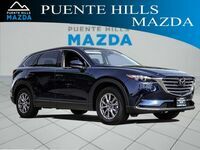 The 2018 Mazda CX-9 is relatively affordable given its many features and style variations. This large crossover starts at competitive prices. 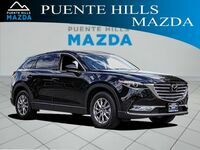 See below for starting MSRP* information on the new Mazda CX-9. *MSRP excludes tax, title, license fees and $940 destination charge (Alaska $985). Model shown may be priced higher. Actual dealer price will vary.